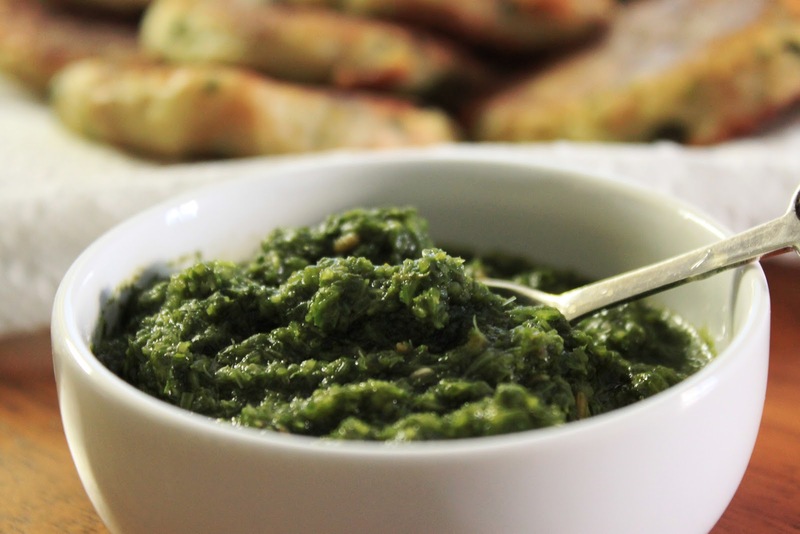 Coriander Chutney is my husband’s favorite. He can have it all year round with almost anything. This Chutney is therefore something I almost always have ready in the refrigerator. Keeping it ready has many pluses – he remains happy and it goes along well with most evening snacks, can be used as a relish when making sandwiches and adds a zing to daily meals.